Denver, CO–August 2, 2011–The Founder and CEO of TeleBrands, AJ Kuhbani joins Dog Works Radio with hosts Robert and Michele Forto. The TeleBrand Corporation, better known as the “As Seen on TV’ people have been selling products to consumers since the 1980’s. Just recently have they ventured into the pet product market. They have sold every thing from the PediPaws to the soon to be released ShedPal for today’s busy pet owners. TeleBrand’s CEO and Founder, AJ Kuhbani joins Dog Works Radio to talk about their new and innovative pet products as well as give our listeners some “behind the scenes” scoop about their very popular commercials. Kuhbani also discusses how enterprising inventors can get their product in front of millions with their Inventor Days program. Dog Works Radio is an interactive, live Internet talk-radio show that focuses on canines sports, working dogs and training. Hosts Robert and Michele Forto explore the advice, training tips, information and personality that is so unique to those who chose to work with dogs as a lifestyle, not a career. Callers are encouraged to call (646)727-3839 to listen or ask questions. The stream and achieves are available at http://www.blogtalkradio.com/dogworks. The show is live every Sunday at 12 noon Mountain/ 2 p.m. E.T. The show is hosted hosted in Alaska and Colorado and brought to you by Denver Dog Works and Twine Group Media. Last week I introduced a series of articles that I am going to post each week about the culture of Denver Dog Works. I am only only doing this to give our readers an idea of what we are about at Denver Dog Works but also as an exercise for us here at the training center to make sure we are all on the same page and delivering exceptional customer service and training a client’s dog to be one of the best trained dogs in the world. The Wild West was full of them and they are the actors of legend along the carnival midway and the performers of modern day late night infomercials. His line was superficial and his promises great. he had the cure for diseases and could wow you with his magic cloth that soaked up a can of soda with little effort. Modern medical licensing has done much to amend quackery in medicine but in the spirit of the snake oil salesmen or the the late night pitch-man they will always find a new outlet, and professional dog training is a prime example. As I tell my students studying to be professional dog trainers all the time, all it takes to be a dog trainer is a business card, a leash and a smile. Anyone can rent out a storefront, put a sign on their car, take an out an ad in the local newspaper, start a website and call themselves a professional dog trainer. If you work out of your home, a couple hundred bucks can be enough to say you are in business! These same people say they can offer obedience training, solve problems and turn your dog into service dog just because you want a constant companion with you while you ride the bus to work in the morning. Often there is a certificate saying Master Trainer, possibly indicating the completion of a correspondence course without ever having to demonstrated how to properly work a dog in a training routine. It is against the law in all states, I assume to set up shop and offer medical advice, or legal counsel or even plumbing services without a license. Not so in the dog training world. There are no legal requirements or even standards in the way that a dog should be trained. What truly separates the men from the boys, so to speak, in the dog training world is just one word: Integrity. If I were to ask what the most important and influential aspect of a business is I would have to say integrity. Without integrity at the forefront of a business’ culture a business is usually doomed to fail. In fact, when integrity is part of the business culture is becomes the heart and soul of the company and can mean the difference between a company that succeeds and one that fails. In recent times, with the media fueled recession, and business people having a hard time making ends meet often a business’ core values are overlooked in order to salvage a struggling business or to meet the basic needs of a company such as payroll and paying vendors. But, if a business does not take the time to examine it core values and continually live by them, even in the rough times, the business is not operating with an ethical commitment to those that truly have a say in whether they will succeed or fail, and that is it’s customers and clients. Principle #1 At Denver Dog Works we recognize that our clients want to do business with a company they can trust; when trust is at the core of a company, it is easy to recognize. Trust defined is assured reliance on the character, ability, strength, or truth of a business. Dog training is a capricious business. You are dealing with a member of a client’s family and you must remember to treat this relationship as such. Principle #2 At Denver Dog Works we strive for continuous improvement of our company, and as the leader in an industry we must be willing to open up to ideas for betterment. We ask for opinions and feedback from both clients and team members and by doing so our company will continue to grow. Principle #3 At Denver Dog Works, regardless of the circumstances, we do everything in our power to gain the trust of our past customer’s and clients, particularly if something has gone awry. We strive to do what you can to reclaim any lost business by honoring all commitments and obligations. Yes it is true you can never please everyone. In the dog training world we often dealing with relationship problems, financial constraints and a theory of absolutes (fix my dog or else…). We often deal with unhappy clients because of unrealistic expectations and we must meet them in the middle in order to accomplish a common goal and that is to better the relationship between their dog and the family. Principle #4 At Denver Dog Works we continually re-evaluate all print/media materials including our small business advertising, brochures and other business documents making sure they are clear, precise and professional; most important we make sure they do not misrepresent or misinterpret our business. This is what I was talking about above. Anyone can say they have the best and train the rest but can they live up to their own motto? Principle #5 At Denver Dog Works we remain involved in community-related issues and activities thereby demonstrating that our business is a responsible community contributor. In other words, we stay involved. We are actively involved in two local chamber of commerces and attend and host many events where we give back to the local community. In business it should never be just about making money. At Denver Dog Works we don’t just train dogs, we change lives. Principle #6 At Denver Dog Works we take a hands-on approach in regard to accounting and record keeping, not only as a means of gaining a better feel for the progress of our company, but as a resource for any “questionable ” activities; gaining control of accounting and record keeping allows you to end any dubious activities promptly. Even in a difficult economy where every small business owner is pinching every penny and saving every dime they can, a business must have integrity in regards to the day to day operation of their business. I will admit, this past year was a struggle for us and we seemed to have pulled through and weathered the storm but that did not mean neglecting our vendors or our businesses associates. Principle #7 At Denver Dog Works we strive to treat others with the utmost of respect. Regardless of differences, positions, titles, ages, or other types of distinctions, we always strive treat others with professional respect and courtesy. This principle is not just in place in the back-room of our training center but to our clients as well. A client should never be seen as a meal ticket or a a way to pay the light bill, but as a relationship that is forged with mutual respect and understanding. This article was originally posted on our old blog (http://www.fortoblog.com) I will continue the series here. This is a new day of a new week of a new month of a new decade in a new century. It is special isn’t it? Last year was a tough year for all of us in this recessed economy where everybody was worried about the future of the world as we knew it. At Denver Dog Works, it was tough on us too. We are thankful for all of our clients, new and old, that helped make our business special. We also took advantage of the down time to receive training for our business, our leaders, our trainers and our staff. This training was expensive, but worth every penny. We learned so many new things about our business, our goals, our values, and our desires. We learned what we need to do to set us apart from the crowd. We learned that we are not just a small fish in a big pond, but a fish that has a considerable influence over the pond that we swim. In January 2009, we started our Internet radio program, The Dog Doctor Radio Show, that has gotten great reviews and has had on some tremendous guests. We spoke about everything dogs and everything that we love about our furry friends and what makes that relationship special to so many people. We spoke about the Michael Vick controversy, many authors including the most heart-warming story I have every heart about Baxter, the therapy dog that touched so many lives until he last days, and so much more. We trained several students to become exceptional canine obedience trainers in 2009 and have done so against the wishes of our most vocal competition in our industry. I can not count how many times I have heard from my peers that own dog training schools here in Denver say, “Why are you teaching people how to become dog trainers? Don’t you think the business is saturated?” My response is, “It do it because I can, and no, I don’t think it is saturated.” We change people’s lives at Denver Dog Works. Whether it be by training people for a new career or providing a service dog for a young child in need. That’s what we do. 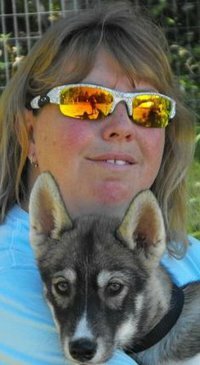 In March 2009, I announced my intentions on running the Iditarod in 2013. This is a promise I must keep. My family and I thought about this for a long while and realized that the time is now to begin training for the last great race, as they call it. I am taking this year to get into shape and next year I will run my first qualifying races in Minnesota and Oregon. The monumental feat of running the race is not the race itself but the raising of ten’s of thousands of dollars to train and run the race. We are starting our quest to find corporate sponsors during the second quarter of 2010. We met many new friends in 2009 that taught us so much. We attended a seminar on social media and it has changed how we do business forever and what an impact it has had! As many of you know I routinely update twitter and Facebook with news, notes, nuggets of information, and stories that have absolutely nothing to do about dogs, but do you know what? Social media works! I have received so many business leads, new contacts and friends, often while I update driving down the highway at 70 miles per hour going from class to class. In May 2009, I attended a training program in Neuro-Linguistics from my good friend and “personal trainer for the mind”, Traci Brown. This revolutionary training taught me to think outside the box and harness the potential of my unconscious mind. While many may think this is some New-Age quackery I will be the first to tell you that you are furthest from the truth. This innate communication will change your life! In July, we moved to our new location and we regret that we haven’t had the time to have a grand opening celebration yet. Our new place is only about 70% remodeled due to the fact that through blood, sweat and tears we are doing the re-model ourselves and it is typically only on our days off. In 2010 we are stepping outside the box completely and offering Dog Works Training Centers in select cities throughout the country. 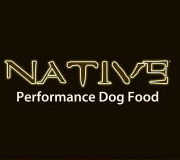 While there are many dog training franchises out there, ours is different. We teach new business owners how not only to be great dog trainers but effective and successful business owners as well. Our Dog Works Training Centers business opportunity will change the dog training industry forever. Much can be said about what makes us the best dog training school in the country. A lot of that lies on our core values and principles of doing business. A lot lies in the education and training we received over the years, moreover this year with the work of some of the bet business branding experts in the country. Not only did this work allow use to identify our vision but, more importantly it allowed us to develop a culture for Denver Dog Works and soon to be a nationwide business network under the Dog Works Training Center brand. Each Thursday I will post an article about our culture and what sets us apart in a very competitive industry. I ask that you follow us along in the coming year. As one fast food restaurant chain’s tagline says: We’re going to be big. At Denver Dog Works, we don’t just train dogs, we changes lives and I can bet you that we do have the best and train the rest! I encourage any comments or questions you have about anything at all. Denver Dog Works hires Kyle Forto as a Contract Trainer. Kyle Forto, son Denver Dog Works’ owners/operators, Dr. Robert and Michele Forto has been hired as a contract trainer for Denver Dog Works of Colorado beginning immediately. Denver Dog Works has been serving canine owners throughout the Denver Metro area for more than three years. Kyle Forto will work along with Dr. Robert Forto and Michele Forto in the areas of private lessons and it’s Camp Works Board and Train Program. Kyle is a graduate of Dog Works Training Center’s Canine Career Course and is a certified canine trainer and behavior therapist. He graduated in 2008 when he was just 16 years old, the youngest student to ever graduate from the canine career course program. You are currently browsing the archives for the Denver Dog Works Press Releases category.